LAST MEETING: Rochester won 17-6 at the Scotiabank Saddledome on Dec. 9. The Roughnecks return to the Rough House this weekend after two weeks on the road. 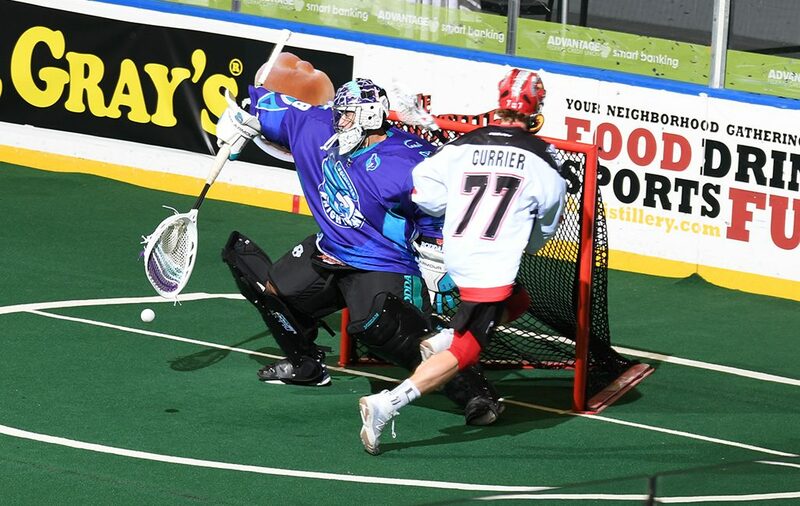 In back-to-back weekends, the Riggers dropped divisional match-ups to the Saskatchewan Rush and the Colorado Mammoth, but played well defensively in both and are hoping for a spark on their home floor. Rochester has been rolling lately, having won four straight, including two convincing 17-10 wins over the Georgia Swarm and the Buffalo Bandits. Leading the charge for the ’Hawks has been former Roughnecks first-round pick Joe Resetarits, who accumulated 29 points during the team’s streak. Calgary and Rochester haven’t seen each other in over two months, since facing off at Blue Cross Arena in the season-opener on Dec. 9 in a tilt that saw the Roughnecks fall 17-6. Saturday will be their chance to get a little revenge on the Knighthawks. A lot has changed in Calgary since the last meeting, most notably the emergence of Christian Del Bianco in net. The young netminder leads all qualified goalies in both Goals Against Average (9.57) and save percentage (.813) while routinely make incredible saves. The Roughnecks defence has been playing lights out lacrosse and given the recent offensive success on home turf (13-9 win over Colorado on Feb. 10 and a 20-12 win over the Stealth on Feb. 16) points to a team that should be ready to fire on all cylinders this weekend. The last three (and only) times this season that Dickson was held to one or less goals, he rebounded with big games. In the tilts following the ‘down’ efforts, he has put up a combined 12 goals. Look for the talented shooter to get back on the board in a big way this weekend. In the top six for scoring, Jamieson is looking very strong in his return from almost a full year off due to injury. The Knighthawks offensive leader on the floor, he has 26 points in his past four games, making him a major focus of the Roughnecks defence. In the Roughnecks opening game of the season, they had no answers for Matt Vinc and the Rochester defence. If they hope to end the Knighthawks four-game winning streak, they’re going to have to find a way to get to the ’Hawks and fill the net.